A pair of foxes have taken up residence in a hawthorn and blackthorn thicket a hundred metres from the back of my garden in the rural Scottish Borders. In recent winters they have been very visible during the day, spending mornings curled up asleep in the winter sunshine, or hunting through the long grass and scrub at field edges. This has given me a rare opportunity to study and sketch them, and this large oil painting is one result. 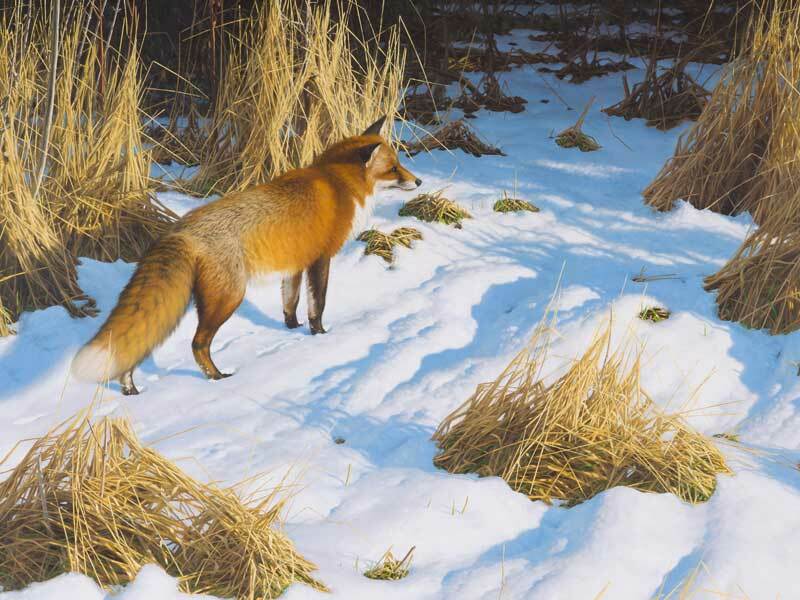 In winter, foxes grow a much thicker coat, which can be fluffed-up against the cold making them look quite different to the slender, sleek fox of the summer months. 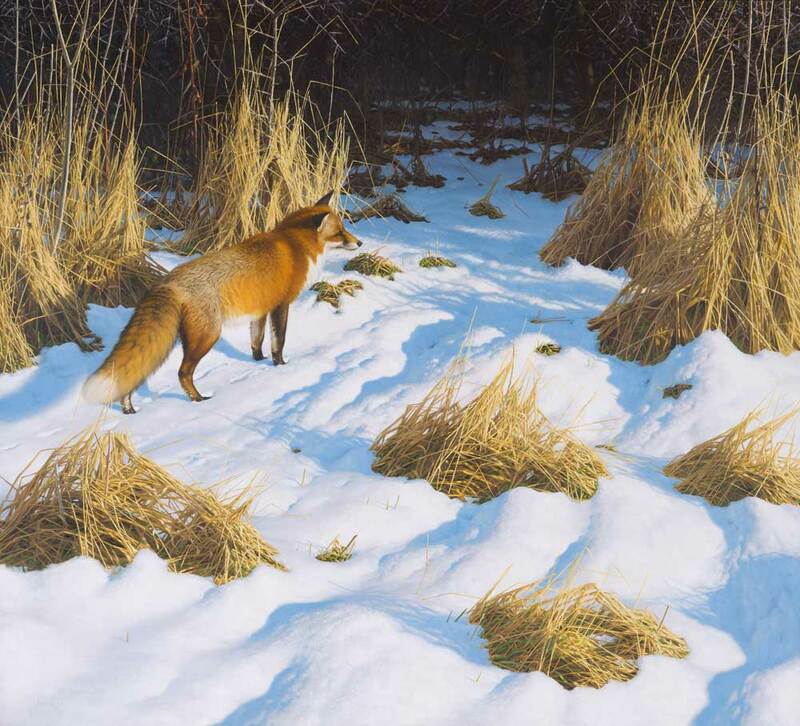 This fox is not hunting particlularly, but has just stopped to check out a sound or a movement in the dead grasses. He is probably well-fed as I have recently lost two of my chickens to him! I do not begrudge him that. He has as much right to be here and to feed himself as do I, and it is my decision to allow my hens to roam free rather than to have them caged – they just have to take their chances.